It has been a whirlwind couple of days since the news broke that Dave Whelan had sacked Owen Coyle (sort of), and the rumour mill has been churning out names ever since. Football certainly has both a sense of timing and humour, after the eventful week that led to Coyle losing his job also saw Rene Meluensteen accept the Fulham position and Steve McClaren supply the damage that ultimately sealed the former Bolton and Burnley manager’s fate. There have been murmurs that Whelan regrets the short-term mentality of his latest appointment, after witnessing how little time it took Coyle to dismantle the three years of club ethos-building groundwork of his predecessor. One newspaper stretched this rumour to suggest he is specifically looking for his “next Roberto Martinez” — a young and ambitious manager with a long-term view and a twinkle in his eye. What seems more likely is the appointment of someone who, regardless of age, is thinking not just of how to get Wigan out of the Championship, but stay out of the Championship. The popular favourite at the moment is Mike Phelan — more on that here. Coyle could be forgiven for feeling that he was inheriting a disjointed squad after the relegation-fueled exodus at the end of last season. He acted swiftly and admirably to bring in a number of new faces, most of whom on paper, were excellent Championship signings. But it was a huge mistake to try and re-invent the club’s ethos and actively reject the work Martinez had done before him. Even if he felt the tikki-takka stuff wasn’t for him, there was simply not enough time to completely transform the way the team played, gel new signings, and obtain results. In Jordi Gomez, Ben Watson, James McArthur, Emmerson Boyce, Roger Espinoza, Callum McManaman, Jean Beausejour, and Sean Maloney before his injury, he had a set of players who performed key roles in an FA Cup winning squad. He also had Gary Caldwell, Ivan Ramis and Ali Al-Habsi to return from injury, and settled young talents Frazer Fyvie and Nouha Dicko ready to push for first team football. In the end, he rotated the squad so much that the established players at the club who knew each other and had chemistry on the pitch, were rarely in the lineup together. If there is a concrete lesson for the new man in charge, it is to embrace the strengths the club already possesses and tweak rather than rebuild. Swansea is fantastic example when it comes to such smooth transitions, from Martinez to Paulo Sousa, to Brendan Rodgers and Michael Laudrup. Injuries or not, one got the sense that fan favourites such as Ali Al-Habsi and Sean Maloney were on their way out of the club. Add to this the limited playing time afforded to Roger Espinoza, despite repeated clamouring from the crowd to see him, and it was clear he was losing the supporters. It would be a very good move to publicly talk up the returns of Al-Habsi and Maloney, give Espinoza a chance, and focus on getting the best out of the club’s established players such as Emmerson Boyce, James McArthur, Ben Watson, Jean Beausejour and the returning Ivan Ramis, who himself was gaining something of a cult following before that terrible knee injury at Fulham last January. It would also be wise to praise the work of his predecessors. Coyle deserves immense credit for his work assembling a strong squad of players in a short period of time. Even more important, however, is public acknowledgement of what Martinez did, not only delivered the club’s greatest achievement, but investing hugely in the club’s long-term future. It is difficult to replace an icon, but acknowledging his work puts everyone on the same side. He was the marquee summer signing — the proven goalscorer at this, and just about every other level in English football — but it all seems to have gone wrong. An instinctive finish against Barnsley on day one promised great things, and he’s shown flashes of talent (his setup play for Marc-Antoine Fortune’s winner at Yeovil stands out), but it’s largely been frustrating for the big centre-forward, and in recent weeks, Wigan Athletic supporters. His confidence is clearly low, and he doesn’t appear fully fit after being rushed back from a knee injury several games back, but the biggest problem was tactical. A striker who scores the vast majority of his goals from crosses was all too frequently playing with the wrong supporting cast. Beausejour — the finest crosser of the ball at the club — was rarely in the lineup at the same time. His starts seemed to coincide with matches in which Latics failed to control possession of the ball, limiting him to counter attacks for which his talents were ill-suited. 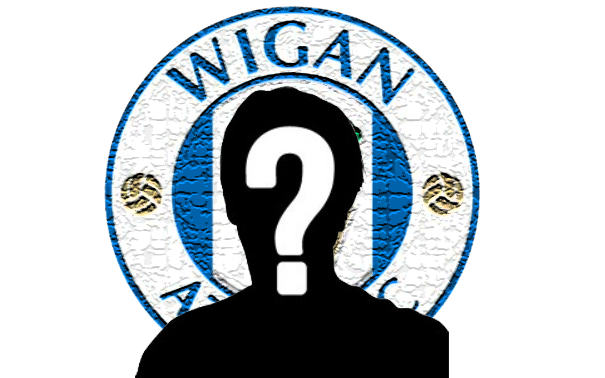 With the less-than-prolific Fortune and young, unproven Will Keane the other options in the striking department, it is clear that the new manager needs to get the best out of Holt if Wigan are to stand a chance of being promoted this season. That means providing service. The other option, of course, is to spend time and money on another proven striker. And a left-back, assuming Juan Carlos Garcia needs more time to adapt and Stephen Crainey doesn’t dramatically improve under new leadership. If Graham Barrow’s 3-5-2 formation in yesterday’s loss against Leeds was anything to go by, neither is deemed one of the club’s best XI. If the new manager goes the same route, a backup for Boyce on the right flank will be a priority. Another loss, this time to Leeds, means Latics have now lost five out of eight away games — the same number as Yeovil and more than Sheffield Wednesday, both in relegation places. Only Barnsley, bottom of the league, have lost more. Think we missed one? Please leave us a comment below. Ha! Cheers Ron, but this young fellow is the son of the fine fellow who enjoyed such an education!